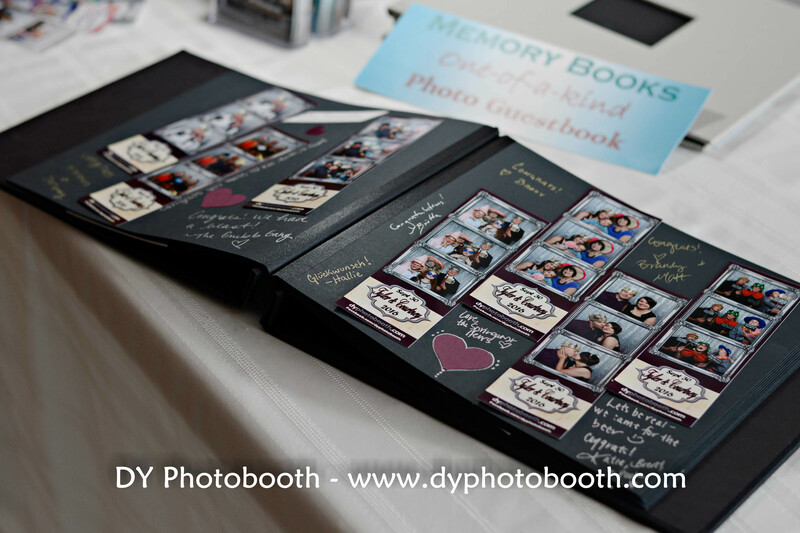 DY Photobooth offers high quality and very elegant Memory Books, which are essentially a photo guestbook. All the materials for creating this masterpiece are provided. The Memory Book is included with each of our 4-hour packages (Signature & Sophisticate). As guests take photos in the photo booth, we retain a copy of each photo for the Memory Book. 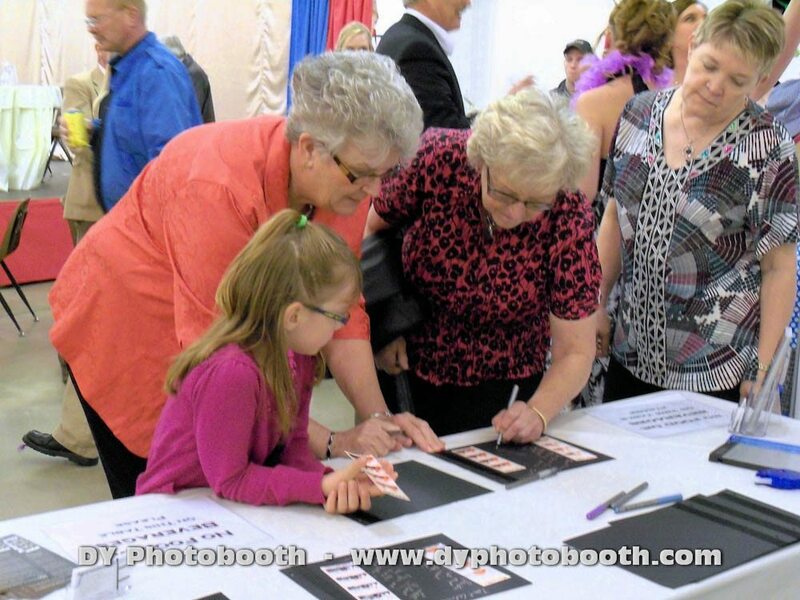 Your guest then get a chance to sign the page next to their photo, offering comments or funny stories for the recipients. We also add fun stickers and memento items from your event to create this awesome book you will look at over and over again! It is a one-of-a-kind photo guestbook to treasure for a lifetime! At the end of the event, this Memory Book is complete and goes home with you! 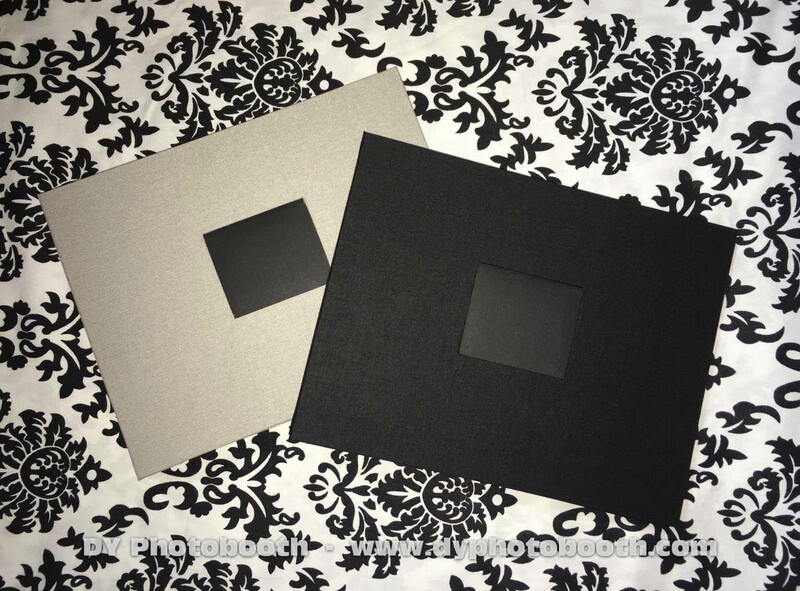 Memory Books are available in both Black or Platinum covers, both with black satin-bound pages.